Lilford Hall has remained empty for around 50 years after the last Baron Lilford in residence died in 1949, and since then the Hall has slowly deteriorated over that time, and indeed now has numerous holes and gaps in the roof. 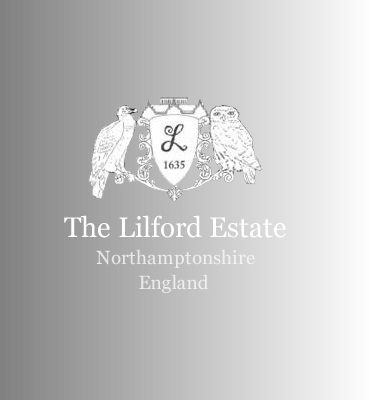 Lilford Hall is a Grade 1 listed building, and thus is considered by the UK Government as of outstanding architectual and historic interest. A comprehensive plan to repair and restore the whole Hall is in place to secure its future. 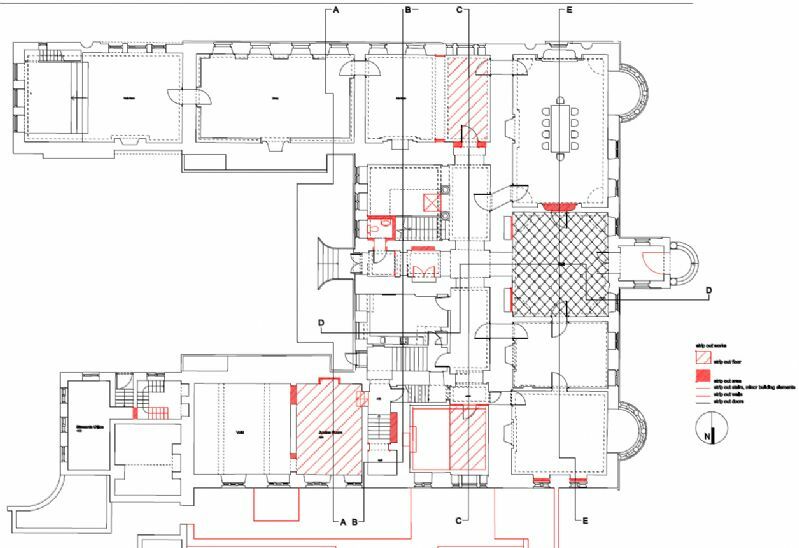 The repair plans reverse the damage that has occurred over the 50 years after WW II whilst the Hall remained empty, whilst the restoration plans meanwhile include work to restore the original 1750 interior layout of the Hall. a) Select the "before" option for the Floor Plan for each of the Ground Floor, Basement, First Floor and Second Floor showing strip out works for the Hall (shown in red). These works mainly cover the removal of features and additions made during the 20C. b) Select the "after" option for the Floor Plan for each of the Ground Floor, Basement, First Floor and Second Floor showing proposed works for the Hall (shown in blue). These works mainly cover the alterations needed to recreate features present in the 1750's and removed during the 20C. Also provided are details for many rooms in the Hall, giving historical information, restoration plans and photographs for the room. For room by room details, see rooms on the Ground Floor, rooms in the Basement, rooms on the First Floor and rooms on the Second Floor. Click here for a gallery of photographs of the rooms needing restoration at Lilford Hall.